Whatever your interest there are many exciting and fun ways to raise money for the Brentwood Catholic Children's Society. You could trek in Peru, do a skydive, hold a coffee morning or run a golf day. The opportunities are endless and would be great fun for you whilst being invaluable to us. For support and ideas contact the office, and you can also set up your own sponsorship page through Virgin Money Giving. Check out our events diary by clicking the button below and see what you'd like to support. We always need more participants and volunteers. We need contact points for every parish around the Diocese. You would act as our contact for the parish, ensuring our news made the weekly bulletins, our posters are up and visible, and any fundraising events in your area are well attended and supported. If you are interested in this role, then please contact Julie Abbott. If you would like to fundraise for us through your school, club or university then please contact us for ideas and support. You could also nominate us as your Charity of the Year and see the impact a whole year's fundraising could have for us. Collection boxes not only help to raise vital funds, they also create awareness of our important work and your small change can make a big difference. For 30 years, Vic Howlett has been an advocate of raising both awareness and funds for bccs. He started way back in 1984 as a Children's Day Collector and has since been emptying the collecting tin at his local newsagents for over 20 years. The shop, Smokers' Paradise, in Station Road Chingford, is currently run by Cassim Malam, who is the third generation of the same family to run the shop, all of whom have been happy to have a bccs collecting tin in the shop. Vic says "It really is no trouble, I am already a regular visitor to the shop and about five times a year I simply empty the box, pay the money into the bank and advise bccs I have done this so they can send a 'Thank You' letter to Cassim." Did you know that as a country, we have £345 million in loose change in our homes, down the back of our sofas and in our cars? Having one of our home collecting boxes is a simple and easy way to help us make a difference. Fundraising for us in this way will help thousands of vulnerable children and young people in need of practical and emotional support. If you would like a Home Collecting Box, please contact the office on 01268 784544. £10 - will provide resources used in a bereavement support session. £20 - could provide food/school uniform vouchers to a family in need. £30 - will help provide counselling to a child who is living with the effects of abuse. Quizzylympics is a Diocese-wide fundraising charity quiz challenge, design to raise funds for bccs. We are looking for volunteers to represent, organise or host a local quiz night in their parish. sample of questions and answers that can be used to run the quiz. 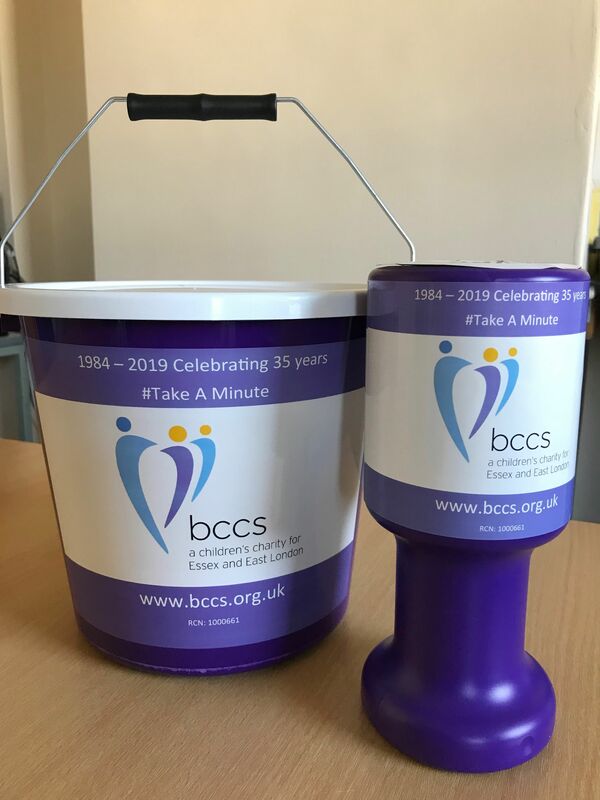 Whilst funds will be raised for bccs at the heats from the entry fee, from profits made selling refreshment or via any extra fundraising undertaken such as a raffle. The local organisers will be free to arrange their Quiz Night on whatever date or in whatever way they wish. This will allow them the flexibility to tailor their event to suit the specific needs of their parish. Remember: there is something else that fun quizzes should be all about as well as raising money. They are a chance to have fun and interaction with other people and they are a great way of building community spirit. The winners of the local heats will then go on to represent their parish at the Grand Final being held in November 2015, where our 2015 Quizzylympics champion’s will be crowned! Organising a quiz night is a great way to support bccs and have fun at the same time – so go on give it a go! You can fundraise for bccs at the same time as playing a round of golf – a charity golf day is a great way to combine the two. Why not organise your own golf day? To organise a golf day at your club first choose a day which doesn’t clash with any other golf tournaments. Then decide on an entry fee (which is donated) and persuade lots of other members to join in. Your charity golf day could also end with a dinner, raffle, auction or a game of heads and tails. Charge 10p for every bad shot. Ask the club captain to fine members whose mobile phones ring in the club house. Give fines for entering the club house with golf shoes on. Play 18 holes in a dinner jacket. Get sponsorship for each hole from individuals or local companies – £50 a hole would raise £900 and the names of the sponsors could be included in the programme. Are you this year’s Golf Captain? If so, why not nominate bccs as your charity of the year? We can supply you with fundraising materials, such as posters, banners and collection boxes to help you publicise your fundraising. We are always grateful for the support we receive throughout Essex and East London with our Annual Prize Draw and last year was no exception. Click below to find out the names of our 2018 winners. 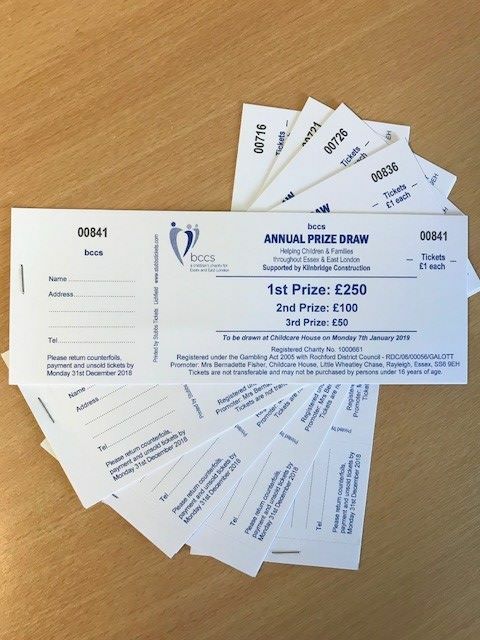 Thank you to everyone who took part and especially to Kilnbridge Construction who sponsored our Annual Prize Draw again this year. Congratulations to you all; we will be sending your cheques to you in the very near future. We hope you enjoy your winnings!